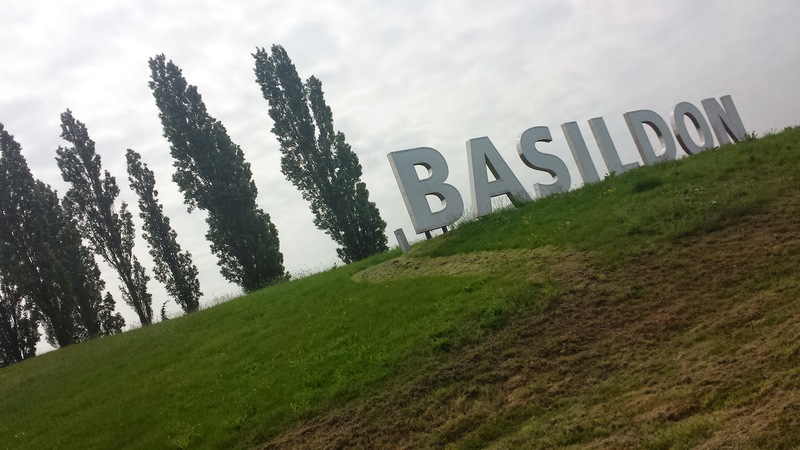 Basildon as we know it today was formed in 1948 from the conglomeration of four small villages - Pitsea, Laindon, Basildon, and Vange. The new town took the name of Basildon as it was the most central of the four. It was created as part of the post-war 'new town' scheme, and was to designed to accommodate the London population overspill. When researching the history of the town, I found out that Pitsea has a tip which deals of all kinds of waste sent over from London and neighbouring councils. With the above information fresh in my mind, I was prepared to arrive and find an urban park that was a bit rough around the edges that would quickly fade from memory as being quite a generic venue. 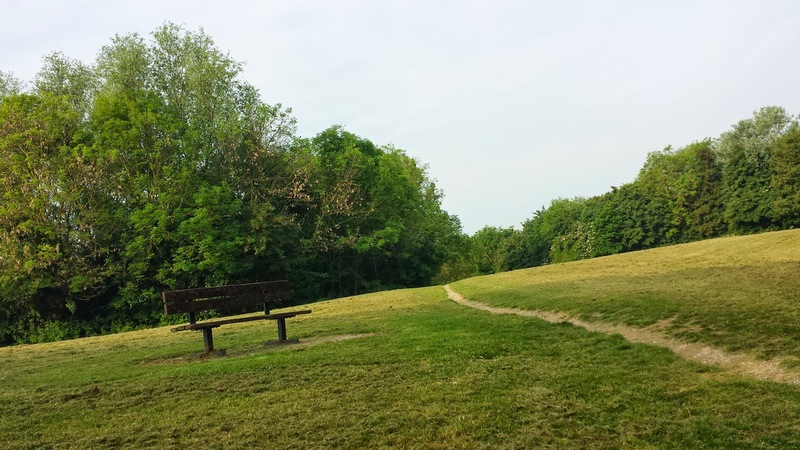 However, what I found was a beautiful park with two stunning lakes and a landscape that varies from flat neatly mown grass to undulating grassy fields with outcrops of trees. I could have spent all day here admiring the park from every possible angle. It really is a treat! 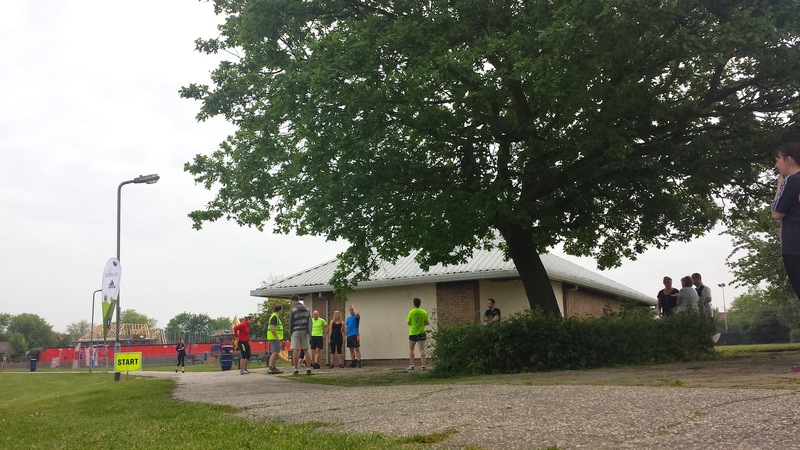 The park that hosts Basildon parkrun is Northlands Park, which is on the Pitsea side of Basildon in the Northlands park residential area. It was created in the early 1970s on land that formed part of Felmore Farm. In total the park covers about 70 acres including the two lakes which were created as part of a flood relief programme. The lakes are also used for fishing. I didn't venture into the town centre, but from what I gather, it was largely developed in the 1950s and 1960s and its architecture is very much what you might expect from that period. Upon arrival, I parked in the car park on the north side of the park, just off of Felmores Road. The car park isn't that large but seemed to have enough space for everyone. I searched and searched but I could not find any bicycle racks, so if you travel on your bike you'd probably find the fence around the children's playground or the bench near the finish are the best options. By train, you'd be looking at either Pitsea or Basildon train stations. There is a bit of onward travel (but both look walk-able to me) from the stations so you'd need to leave extra time to do that. The toilets are located around the back of the cafe, which is just next to the children's playground and has lovely views over the lake. 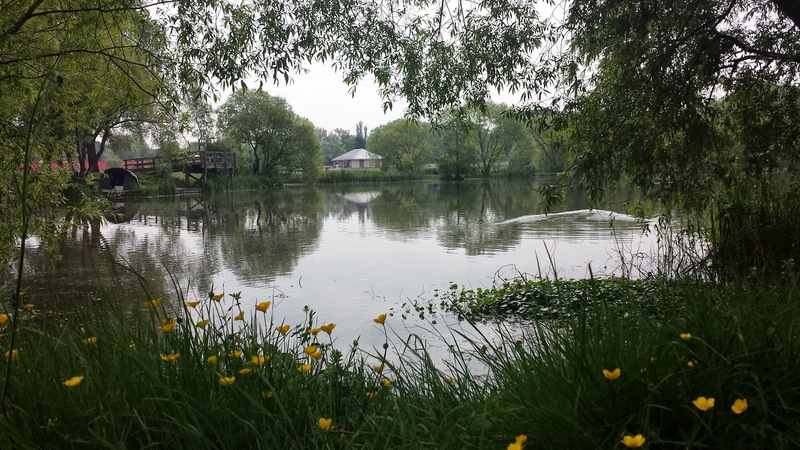 The lake is used mostly by fishermen (or fisher people) and they have their own little areas to sit in, which are all quite far off the main path, which is good for us parkrunners because it means there is no conflict. In addition to the playground, the park also has a half-pipe thingy for skateboarding and BMXing or whatever those crazy kids do these days. It also has an enclosed concrete multi-sports pitch. There seems to be a split of where people congregate before the run. Some were waiting at the cafe (aka the start line), while others were further down the path at the finish line. As nine o'clock draws near, the two groups merge and the run briefing is held outside the cafe before the runners are sent off on their Saturday morning run (or jog or walk). I arrived quite early (as always) and chatted to a couple of the volunteers who made me feel extremely welcome. Please note: The course has been changed since I visited. It now has a slightly different starting point and the course is now clockwise. The run takes place on an almost-3-lap anti-clockwise course and is run on a mixture of tarmac/concrete paths, trail, and gravel paths. When it is nice and dry underfoot road shoes do the job just fine, but when the wetter seasons come around trail shoes will be quite useful. 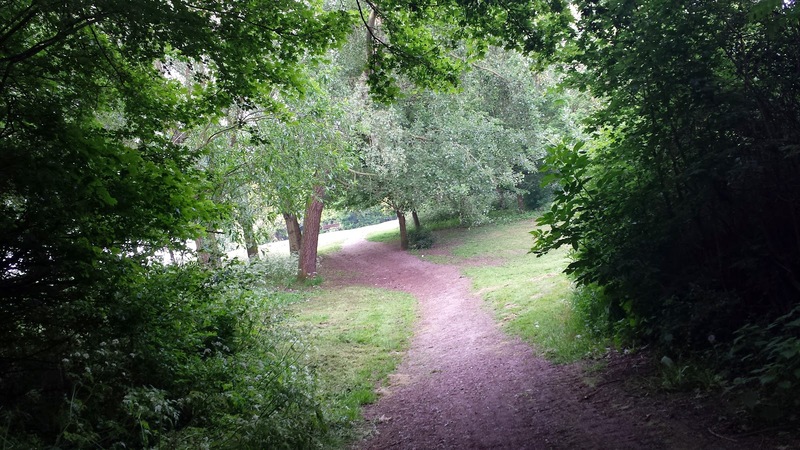 Buggy runners would get around but might find the gravelly paths are a little harder to negotiate. 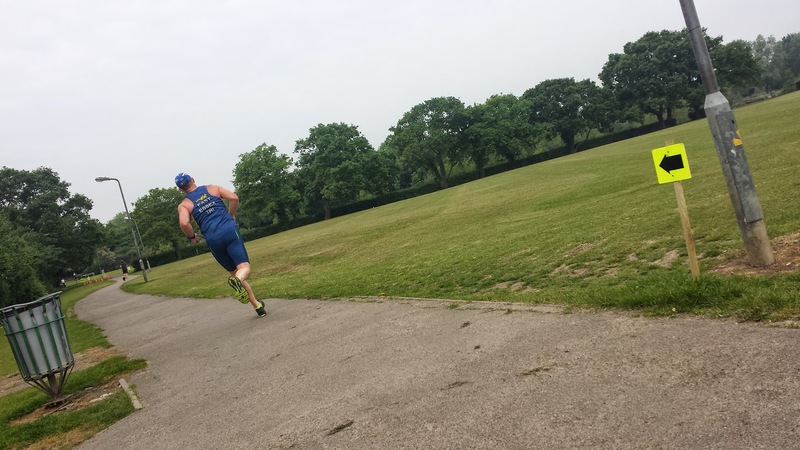 From the start, the runners head off around the outer edge of the lakes on the tarmac path. Once they get about three-quarters of the way around, a lovely marshal directs them off of the main tarmac path and onto one that is a little trail-like. There are trees and bushes on each side and even though we hadn't had rain for a while, a few small patches of damp ground remained. 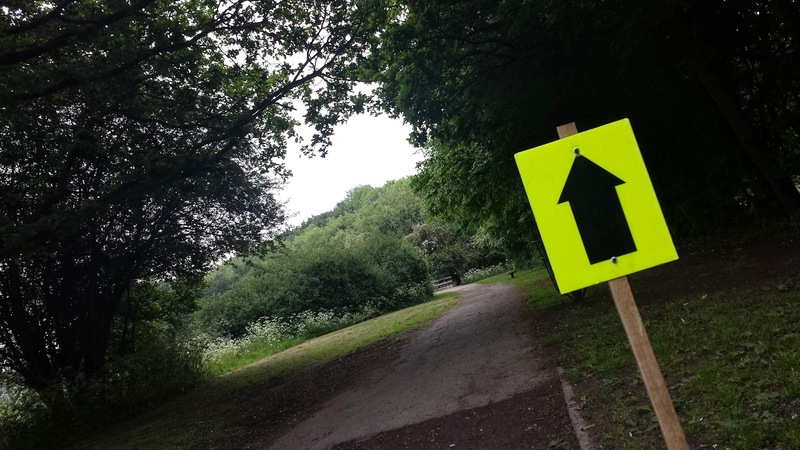 As runners reach the end of this path, there is a little uphill section to negotiate - it's not going to break you, but it does get harder on each lap! 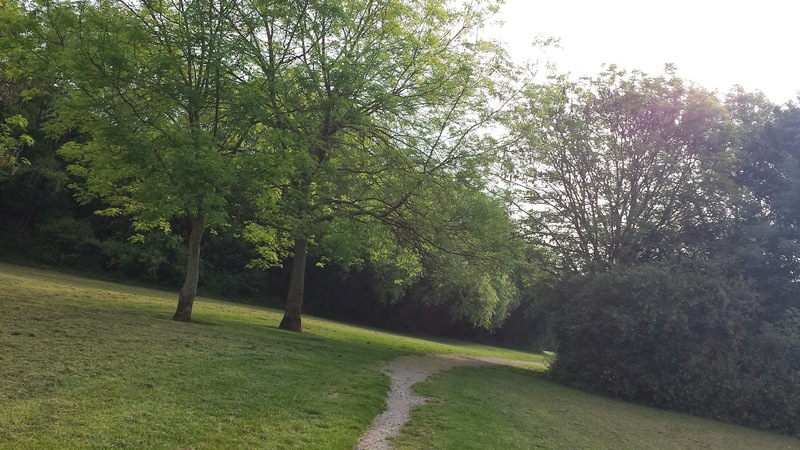 Once up the incline, the runners continue to follow a very narrow single-track gravelly/stony path which cuts through the open grass areas in this part of the park. Next up is 'cone corner', where a number of cones guide the runners around the edge of a copse before returning them to the single track path. Shortly after, the path starts to drop slightly and then widens as the runners approach a tight left hand turn. Be careful on this section as the stones were quite loose. After the tight left-hander, the runners find themselves back on the tarmac paths which meander around before appearing back at the lakes. 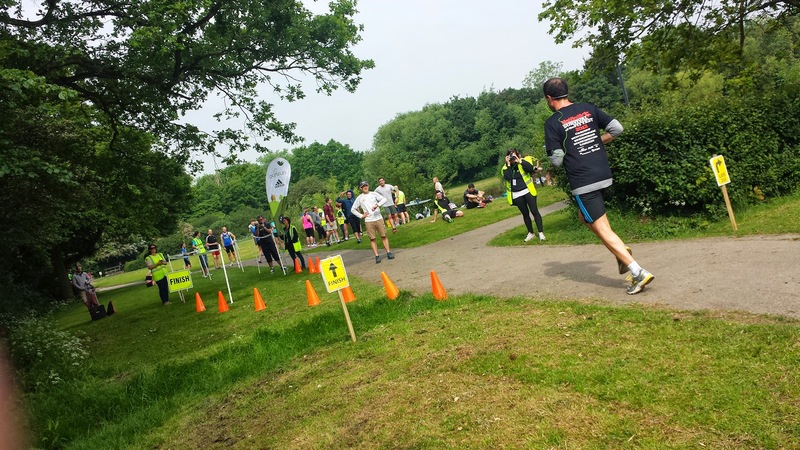 Towards the end of the third and final lap, instead of joining the path around the lake, the runners simply follow the cones onto the grass and into the finish funnel to collect their token before finally taking a well-earned rest. Barcode scanning is taken care of immediately after the finish funnel. I visited at event 7 (results) and I could see (and feel) that a great community was already forming. On top of that, they are yet to have a run with less than 100 runners, so they've had a very healthy start in terms of numbers. As I was talking to one of the volunteers, they were very excited that they were seeing so many new faces each week. As I said before, it is a beautiful little park. 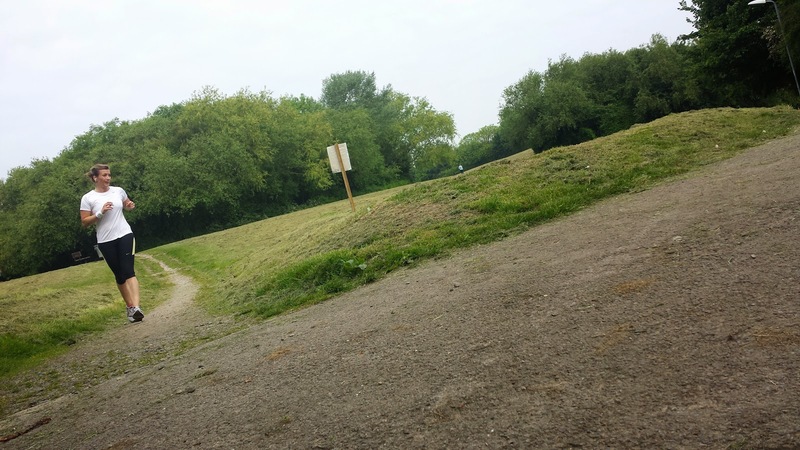 It now has a parkrun and the course is brilliant. It's a great mix of terrain and has that short incline which throws in something to think about each time you approach it. I think you get the picture - I really, really liked this one. Go Basildon!